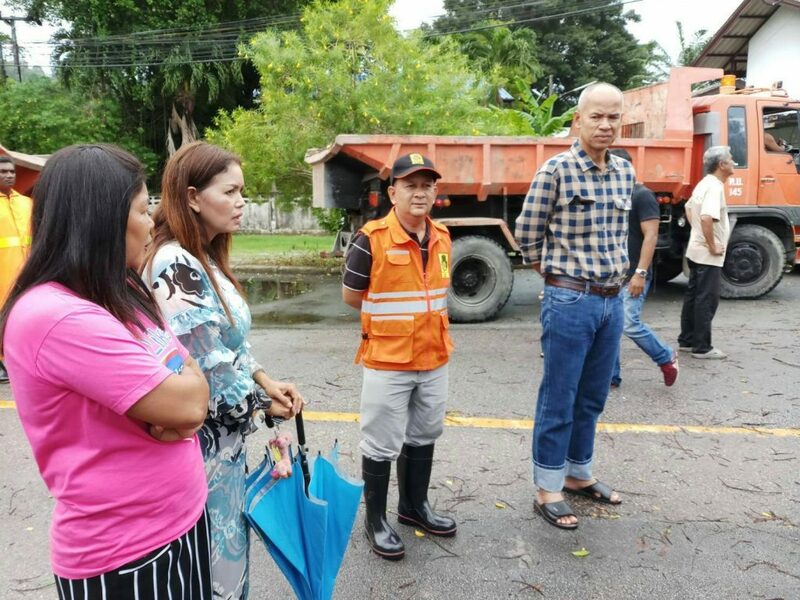 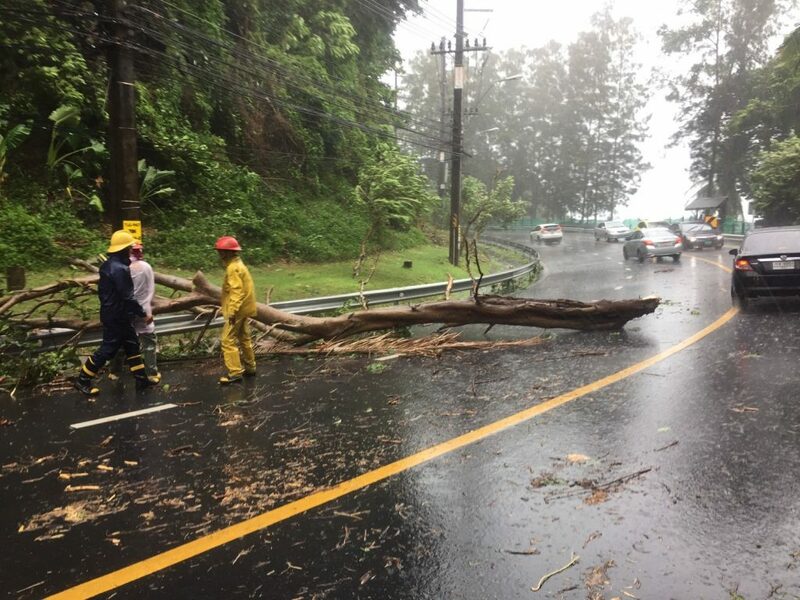 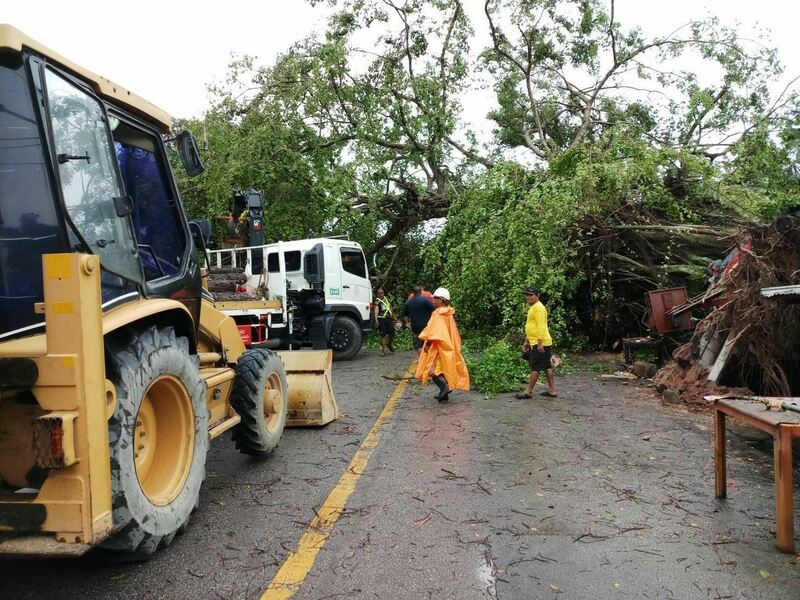 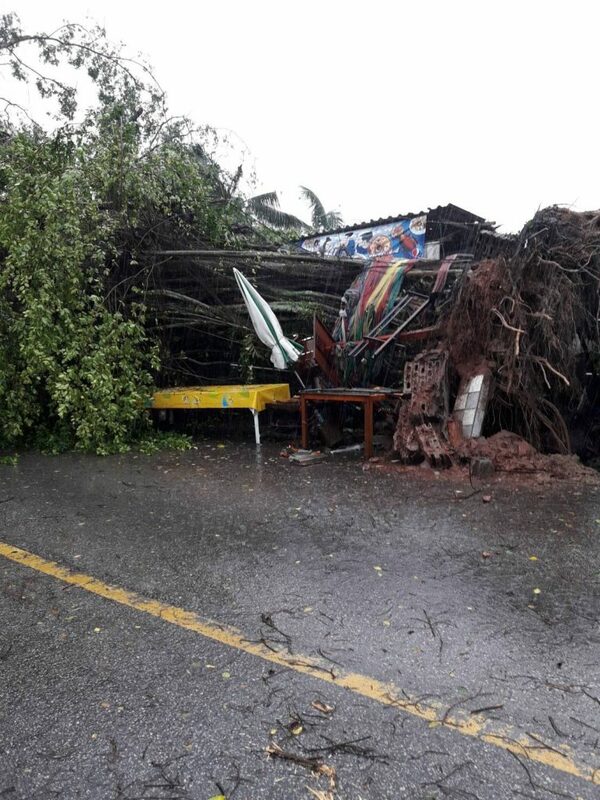 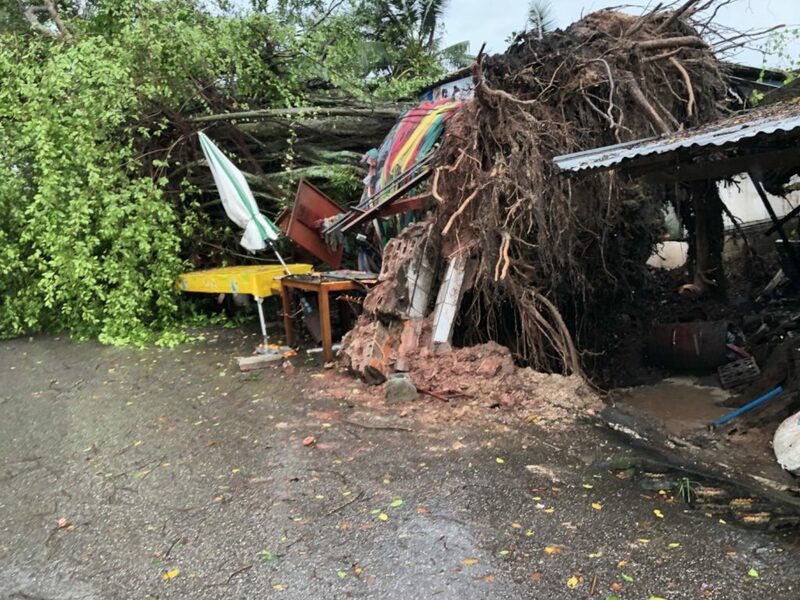 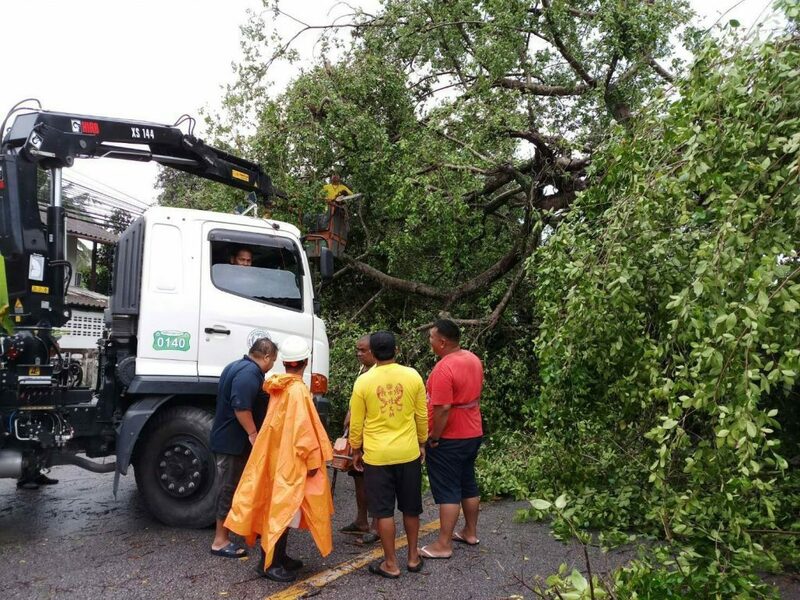 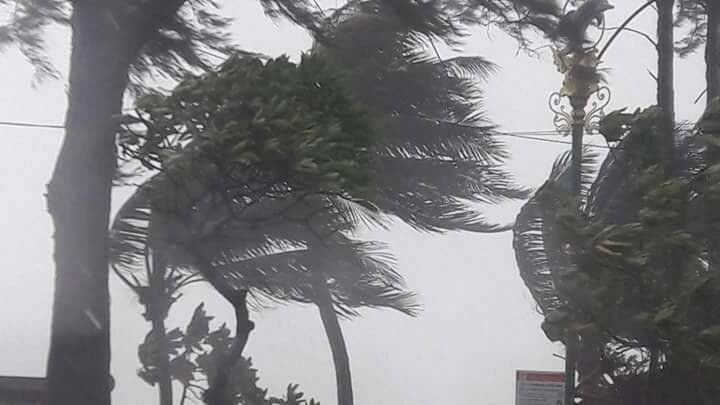 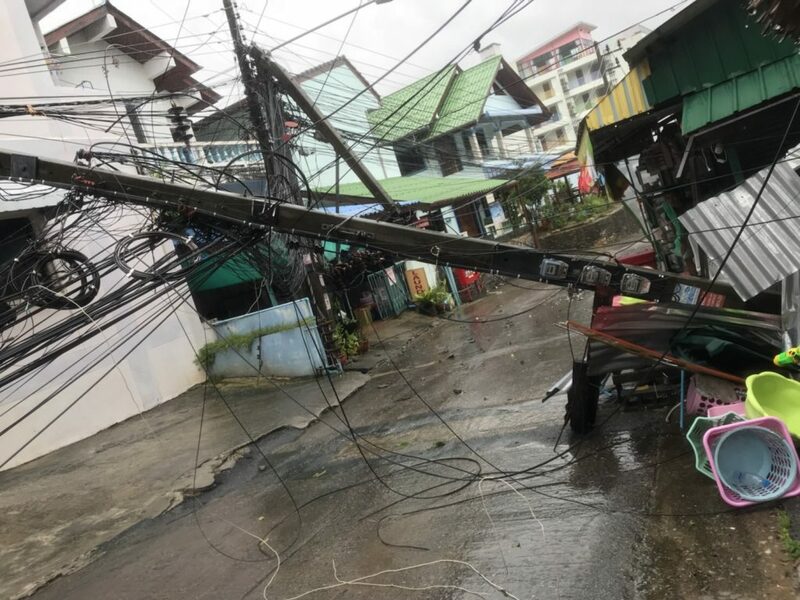 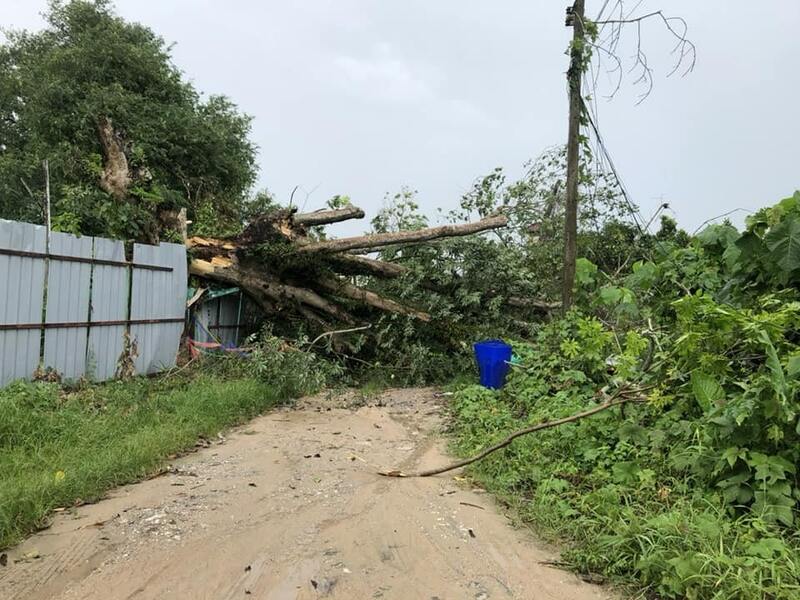 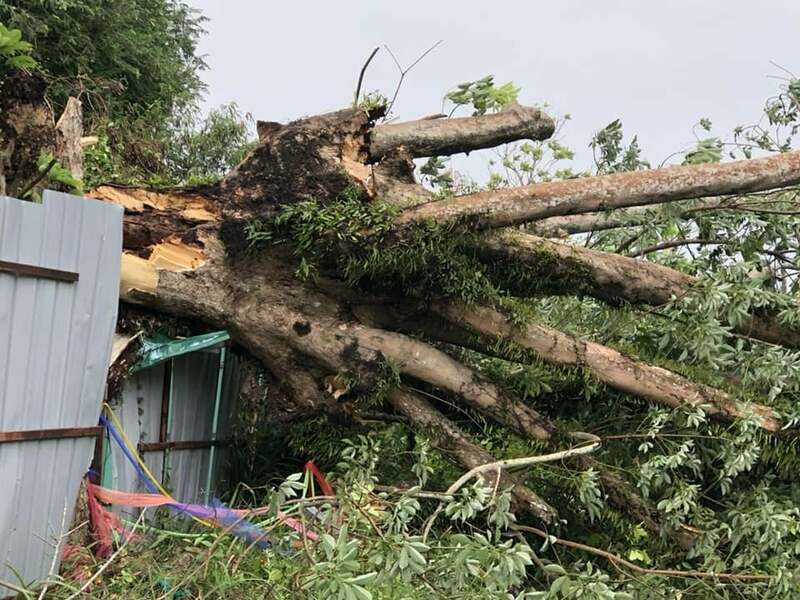 Heavy rains and strong wind across Phuket yesterday (June 17) have caused trees and power cables to be torn down across the island. 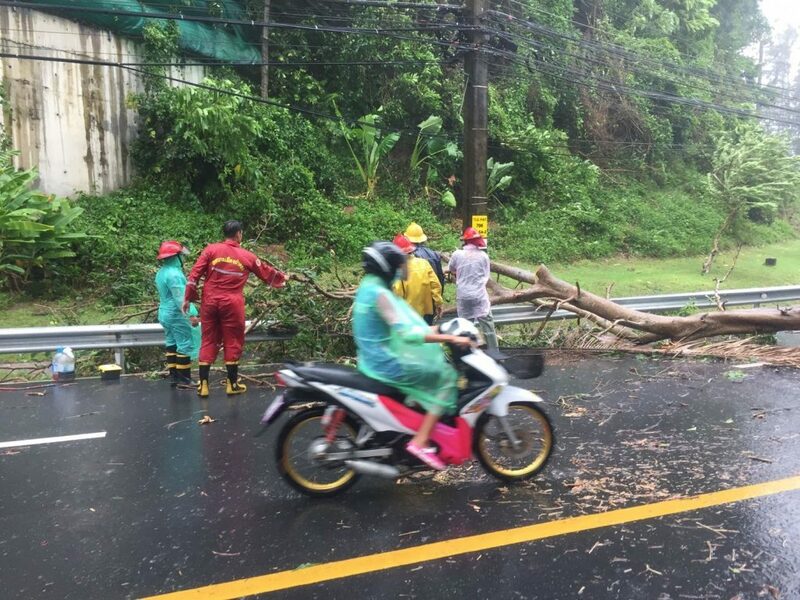 At about noon, a big banyan tree, aged around 100 years, fell down and blocked Narisorn Road in Phuket Town. 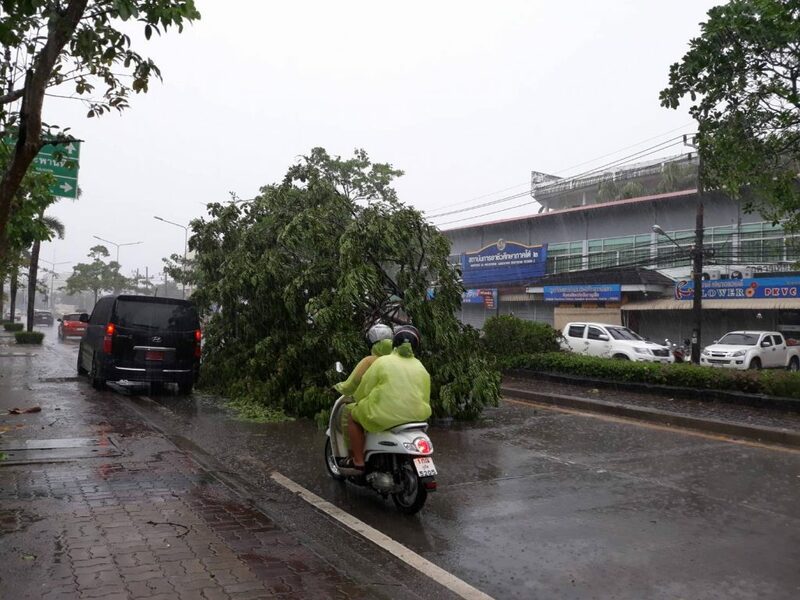 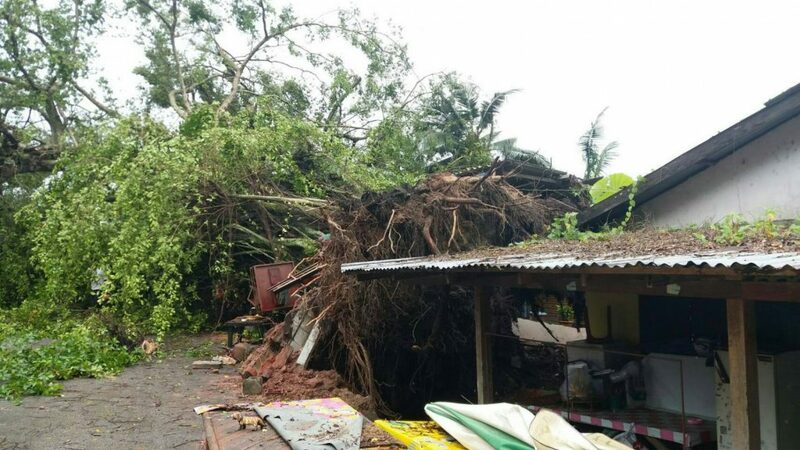 In other areas strong winds brought down trees, falling on houses and blocking roads in Wichit, Paklok and Kamala. 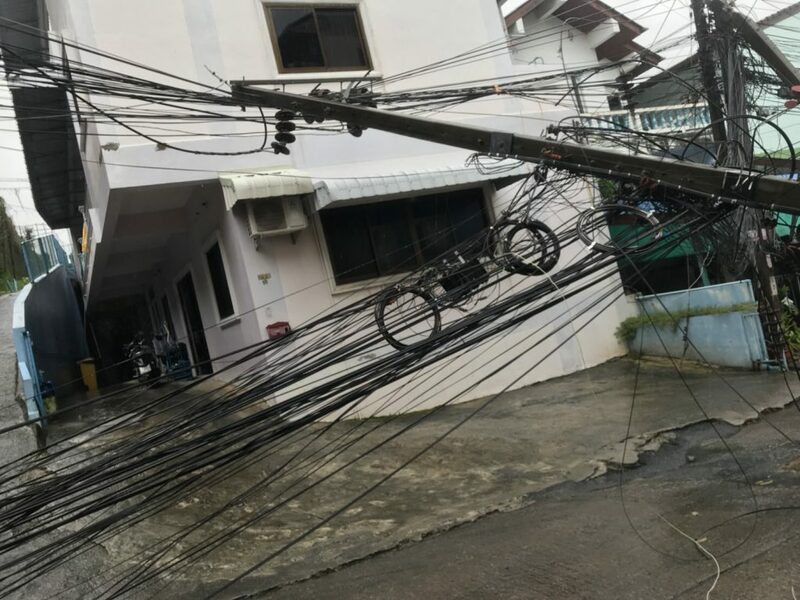 In some areas power poles and cabling was also torn down by the ferocity of the wind.